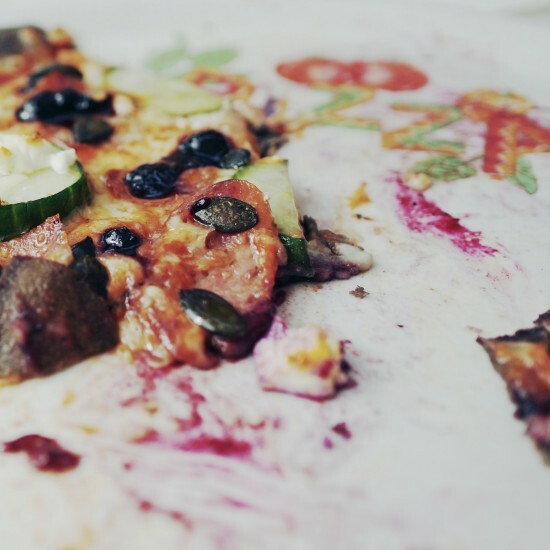 An Italian restaurant in Linz is offering a Conchita Wurst pizza with an interesting taste. 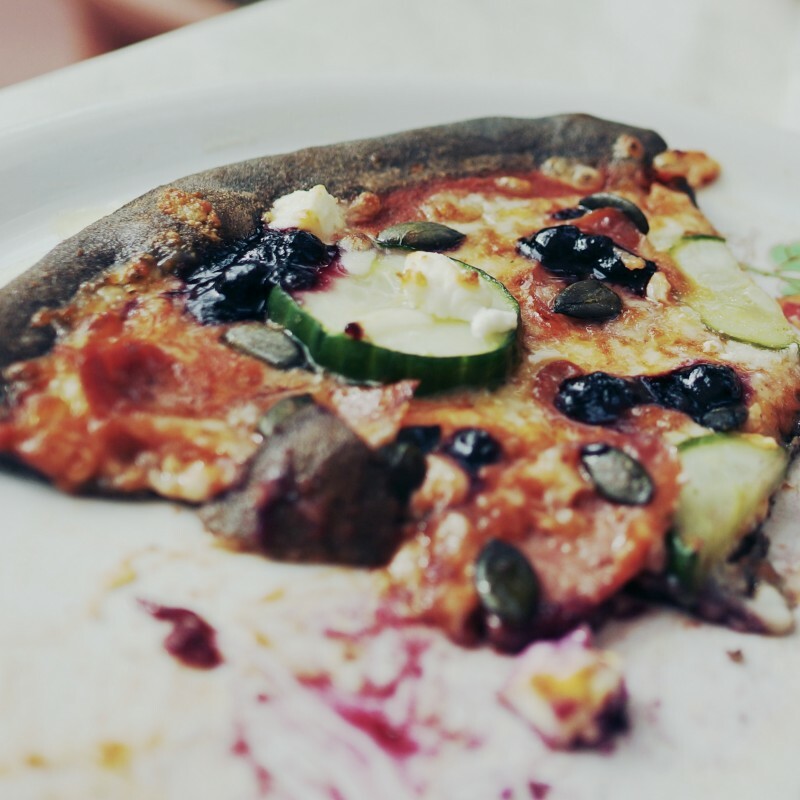 Find out what ingredients they use. 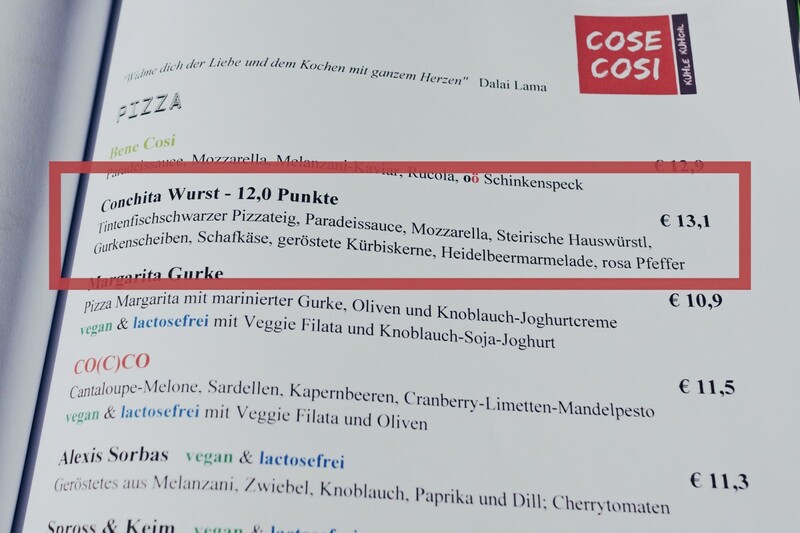 Pink and sweet: the Conchita Wurst pizza :P spotted in the Italian restaurant "Cose Cosi" in Linz, Austria. 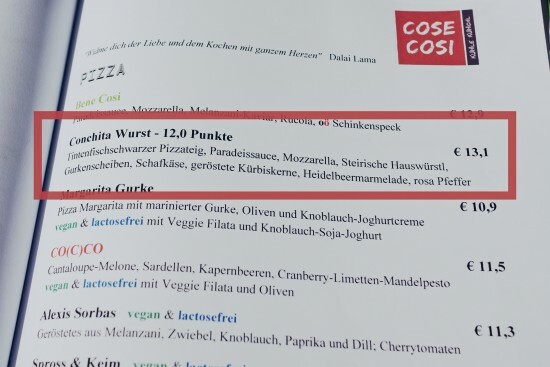 Hi, Conchita Wurst now also has a pizza named after her :P The special pizza with sausage and jam is not cheap, is made from black colored dough, and has an interesting and unique taste. 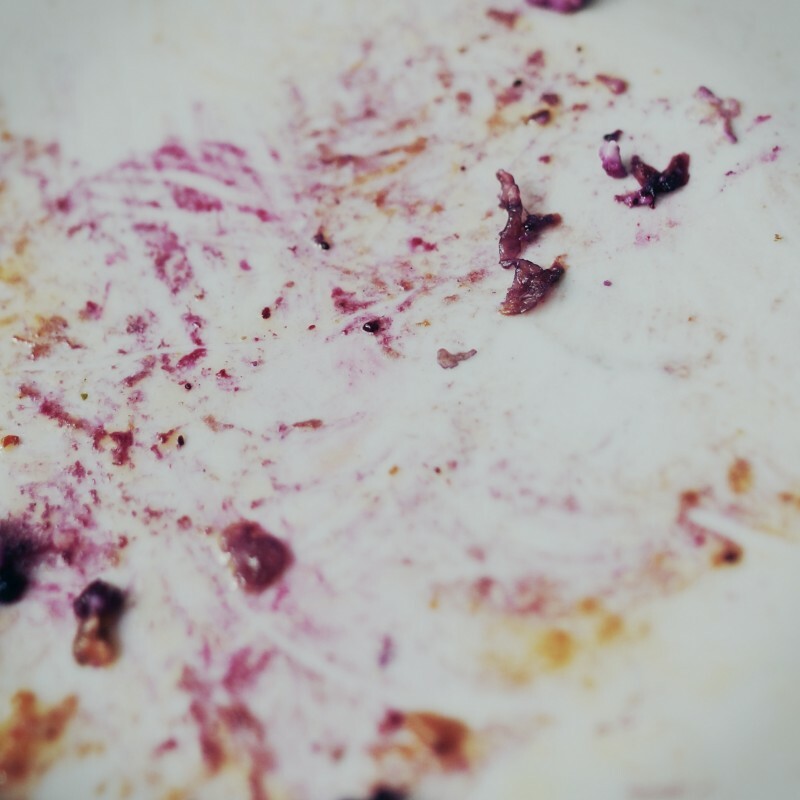 The unusual blend tasted better than I thought, but for my taste the pizza could have been a little bit more stylish to come up to Conchita's high style. 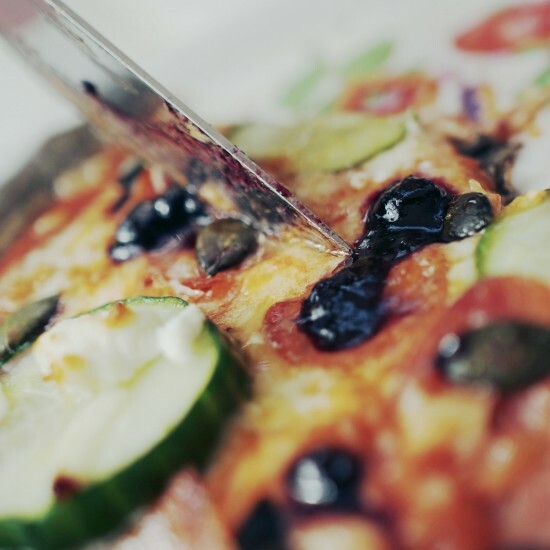 Nonetheless, awesome idea! 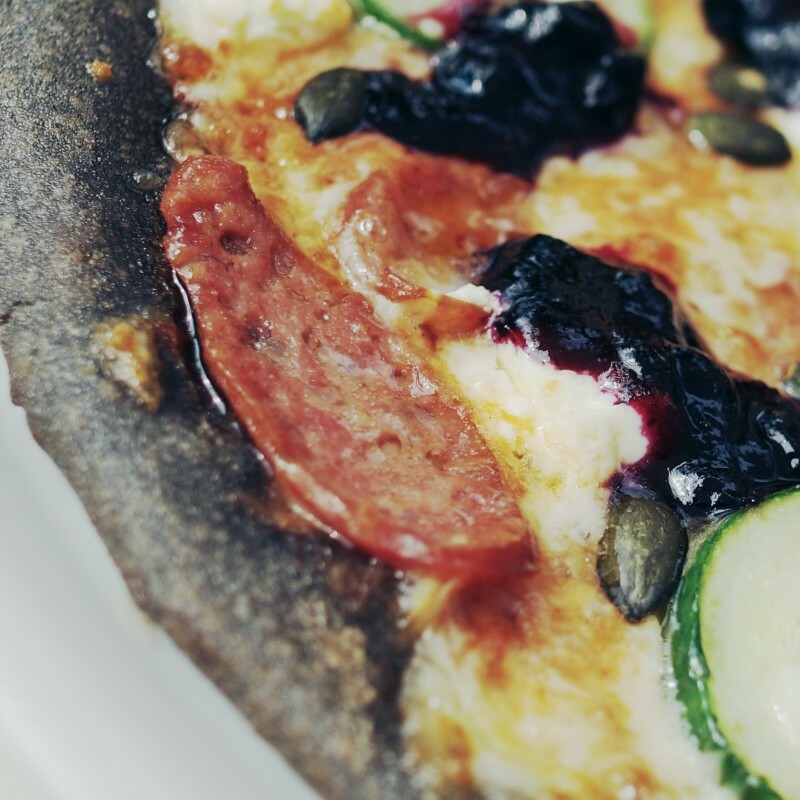 Ingredients: black squid pizza dough, tomato sauce, mozzarella, sausage ("Wurst"), slices of cucumber, sheep cheese, roasted pumpkin seeds, blueberry jam, pink pepper.